Although over 60% of the medications filled during the 1930’s and 1940’s were compounded, only a few pharmacies have the proper laboratories and capabilities to make compounded medications in the 1990’s. Specialized medications require special chemicals and equipment. 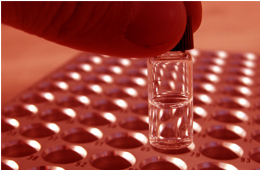 Our compounding laboratory is filled with hundreds of specialized chemicals, devices and equipment. To get a better understanding on what equipment and devices we use click down below. By using the proper equipment when preparing compounded medications, it not only makes the medication easier to make, but also enhances the effectiveness and overall appearance of the finished pharmaceutical product. Martin Avenue Pharmacy can create or modify a medication by utilizing the simplest pieces of equipment including the mortar and pestle.